I've had a few questions about what features i will be adding and thought i would start a basic tutorial of how our clans system will work. 1. 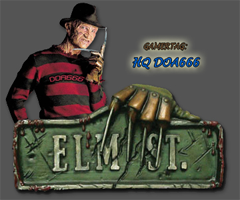 To Become a HQ Clan Leader and use our sites services for all your team mates and friends it is a must for the clan leader to have a HQ in their Xbox LIVE gamertag name or have prior arrangements with the site and myself (forahobby). 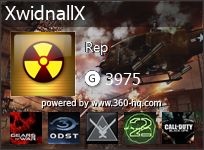 you can still support your own clan name somewhere in your gamertags too.. thats not a problem.. We have different clan leaders for most countries but that doesn't mean you can't still have your own clan.. We have recently taken on the HQ GROM clan for example. 1. Once you have been approved as a clan leader you will instantly have access to our basic tools.. I am writing more features as we speak. 2. When a new user requests to join your clan the clan leader is sent a email. The reason we ask this is so we all have more people to play with! 4. If the new clan member looks good you can choose to approve this clan member and they will then be sent a email with your decision. 1. Mass email all clan members..
2. Show your own tournament dates and information which links to your clans pages and is shown on our games pages, achievements pages etc etc and will get loads of exposure. 3. more coming.. got any ideas lets here them! All clan members may use our clan forums at anytime for attachments and linking to their own youtube videos etc or whatever.. unlimited. *bump* for all the newbies... Thx to everyone else who has contacted me via pm and email! See you all online soon! That is so sweet for the clan members man. congrats on a good job as always. I have watched the site grow over the years and I still can't believe it's just u coding this whole thing here. great work, kudos buddy! 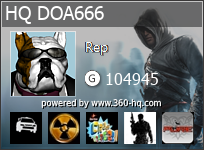 thanks DOA and good to see ya cruising the forums mate. Taking time off from the 360 eh?? Put a HQ in your gamertag and get in touch. We are always looking for more HQ Clan leaders..
could you message me on here to tell me how to make my own clan up please? 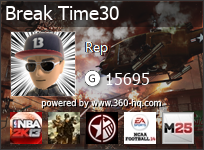 To be a CLAN leader on HQ you must have a HQ in the front of your xbox LIVE gamertag OR be a VIP member.. If you qualify just shoot me an email or private message and i will setup your clan so you can start using our clan tools..
hope to hear back from you soon.. We are always looking for more HQ clans from the UK etc. i have about 20 members on my friends list and we all play as the same clan tag its 5*OG how do I make it legit. Hi breaktime.. If you want to get your site listed on HQ you will need to support our sites by getting your clan members to add "clans.360-hq.com" or "www.360-hq.com" to their bio or motto somewhere.. this way it helps us all get more clan members.. 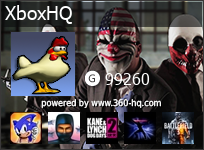 If you already have a HQ in your gamertag or are a VIP member i will setup your account ASAP, otherwise you will need to get all your guys to support the sites.